A colourful goodnight wish picture to make your dear love's night filled with sweet dreams. 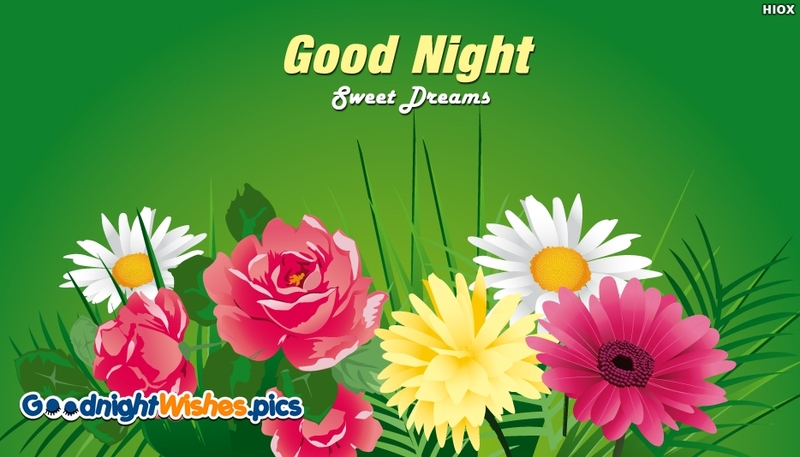 The picture shows the image of colourful flowers art and the message "Good Night Sweet Dreams". Love makes your moments filled with dreams and you can fill those dreams with you and romance. Share this good night wish and create romantic memories.